Darwin weather in July and August is almost certainly dry, warm and at it's most pleasant for most people. By the end of August there has probably been four months with very little rain and the tourist season is still in full swing. Outdoor festivals, markets and celebrations are also in full swing during this period, taking full advantage of the cool evenings and warm sunny days. 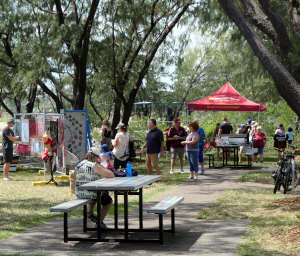 Mindil Beach Markets, the Beer Can Regatta, jumping crocodile cruises and barramundi fishing trips have all helped Darwin become a destination of choice. The contrast between the wet season and the dry season is most apparent at this time, the grass is brown, the water recedes from the wetland plains and billabongs so birds and wildlife congregate around the remaining water. The dry also provides access to many of the areas in Kakadu and Litchfield National parks which are cut off by flooding water during the wet season. 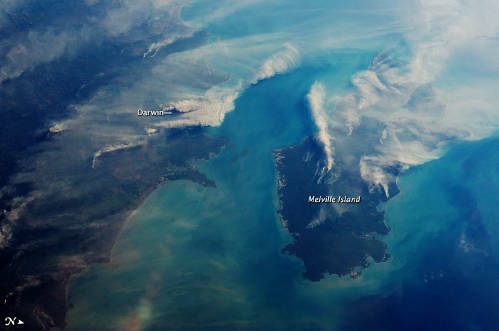 According to Australian fire researcher Peter Jacklyn, the fires on Melville Island were most likely prescribed burns, designed to clear brush and dry fuel to prevent more serious wildfire as the weather warms. The fires near Darwin, however, were probably wildfires, given that most prescribed burning in the area is usually done earlier in the year. Fires like this are quite normal, the aboriginal people have been using fire to modify the bush for thousands of years. 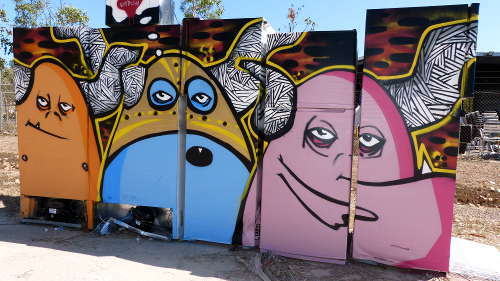 Bright faces on old Fridges announce a Shoal Bay recycling festival. If you intend visiting during this time it is important to secure flights and accommodation well in advance.